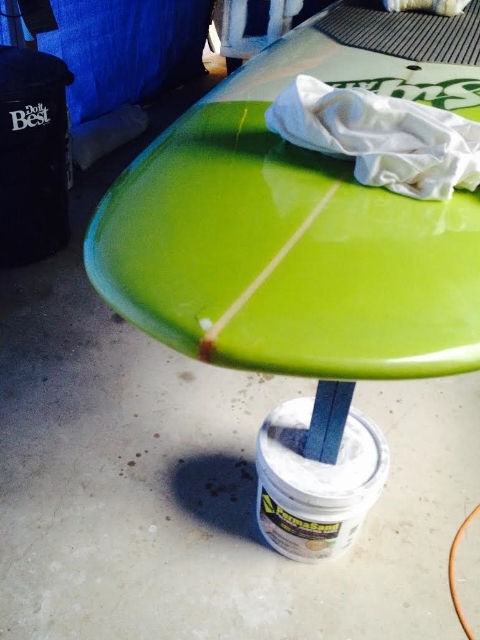 We at Treetown Boards identified a real need for a true SUP & surf repair shop in Southeastern Michigan. We ride boards ourselves and know how difficult it is to find a reliable shop in the area that understands the construction of SUP and surf boards to make proper repairs. We have worked on our own boards for years and are now offering a repair service in the area. Please contact us if you have any questions or are interested in receiving a quote for your board repair needs. This year we will also be offering rail tape installation. Protect your investment with this smooth, clear tape that will prevent your board from getting paddle dings and other marks along the rails. Treetown Boards is now offering clear rail tape installation. Protect your investment with this amazing tape that will protect your board for years to come. Specialized tape that will resist paddle dings to your rails and is UV resistant to prevent yellowing of the tape. You can hardly see this tape unless you get very close to the board. The smooth texture also does not tear up for skin if you prone paddle or from getting onto your board from the water. Starting at $70.00 installed! Contact us today. Click on the pictures to see the repairs. When in doubt dry it out. If you ever think you have damage to your board pull it out of the water and dry it immediately. The faster you can get your board dry the better the chance we will be able to quickly repair your board.